If that's something you're into. 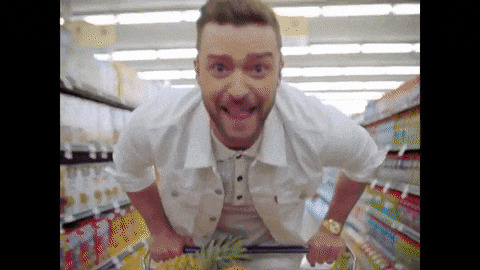 Jessica Biel's husband has released a new track and video, "Can't Stop The Feeling," which, apparently, is the theme song for Timberlake's latest, animated feature TROLLS (co-starring queen of feigned awkwardness, Anna Kendrick). The clip features Justin, and an assortment of (mostly white) people dancing like no one is watching, in front of a donut shop, in a supermarket, a laundromat, beneath highway overpasses and few other "real" places. We get a little bit of that old 'NSYNC tight choreography thrown in, which, despite my best efforts, warms my cold gay heart. The whole thing is pretty cute. Ugh.